Every now and then, whether it's for a picture or a document, you need to choose a font. But which one? 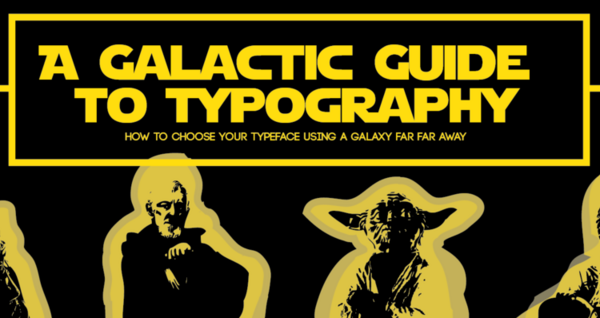 If you don't know the difference between Helvetica and Comic Sans, and you like Star Wars, then this helpful infographic is for you. It's the Galactic Guide to Typography, created by illustrator Vincent Rondia, and it describes fonts according to which popular Star Wars character it resembles. Of course Jar-Jar would be the Comic Sans. 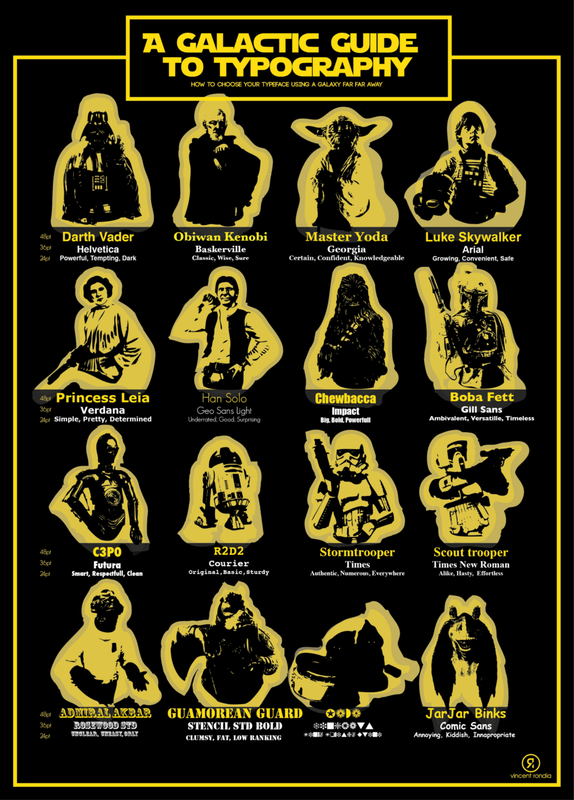 I'm sure Ewoks would be some cutesy obnoxious font. Lando would have to be something flashy. 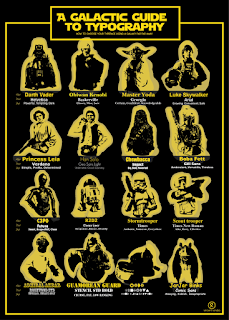 The Jawa font is my favorite.